Professor of Classics Laurel Fulkerson is the new associate vice president for Research. Florida State University Vice President for Research Gary K. Ostrander has named an accomplished scholar of Latin and Greek poetry and ancient emotion as the new associate vice president for Research. FSU Professor of Classics Laurel Fulkerson will replace Associate Vice President for Research Ross Ellington, who is retiring after 38 of years at the university. Fulkerson is currently an associate dean in the College of Arts and Sciences, serving there for three years, where she has focused on recruiting graduate students, overseeing the communications and marketing group, running the college’s teaching postdoctoral program and managing the budgets for the college’s distance learning courses. She has published extensively and is the sole author of three scholarly monographs. 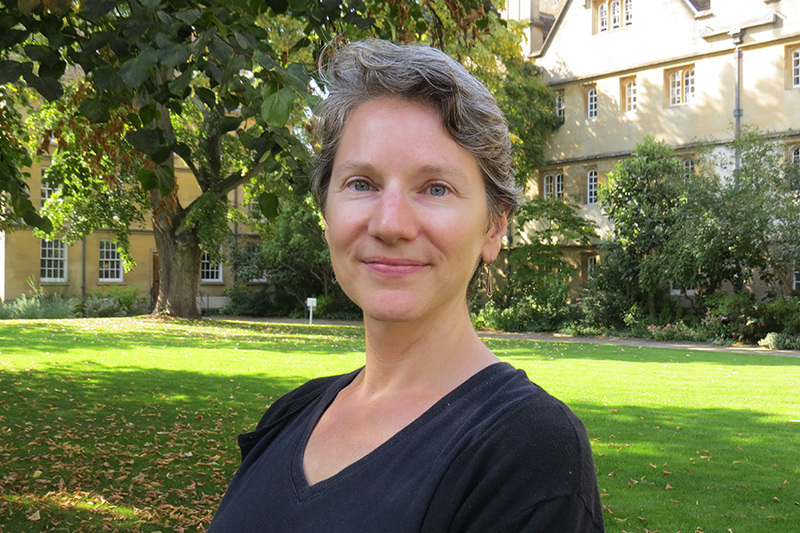 She is also a regular visiting scholar at Oxford University and was the recipient of the Loeb Classical Library Fellowship in 2014. In her new capacity, she will work to boost research and creative activity in the arts and humanities, while also overseeing proposal development and research facilities. She will transition into her new role over the course of the spring semester. Ellington will continue in his position for the short term while Fulkerson transitions to her new role. He will retire this summer. Ellington came to Florida State in 1981 as an assistant professor of biological science. He eventually became director of the Florida State University Marine Laboratory, director of the Institute of Molecular Biophysics and Structural Biology Program, associate vice president for Academic Affairs and ultimately associate vice president for Research. He is an expert in comparative and evolutionary biochemistry with a focus on marine animals. He has served on editorial boards of multiple academic journals and was an associate editor for the Journal of Experimental Zoology. In 2010, he served as the chair of the State University System’s Oil Spill Academic Task Force, a group formed to marshal the resources of the university system to tackle the impact of the BP oil spill. Ellington received his bachelor’s degree from University of Florida and his doctoral degree from University of Rhode Island.